John Burgwin was a mover and shaker in Colonial North Carolina. Born in Hereford, England, in 1731 and educated at Cambridge, by 1750 he had landed in Charleston, where he worked for a merchant firm that also had offices in North Carolina. Shortly thereafter, Burgwin resettled among the merchant elite of Wilmington, where he eventually became a prominent lawyer and financier. 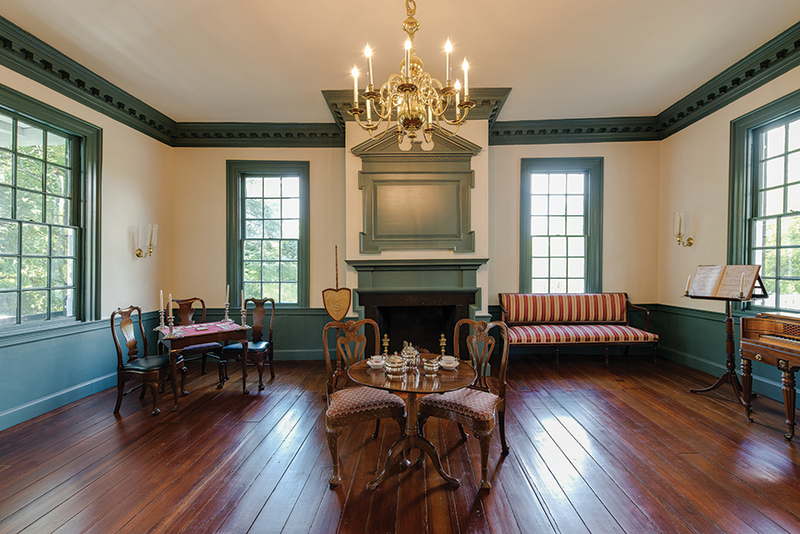 After an advantageous marriage to Margaret Haynes, of Castle Haynes Plantation, the daughter of a wealthy planter, Burgwin received a number of important appointments, including as private secretary to Gov. Arthur Dobbs. Gov. William Tryon appointed Burgwin treasurer of the Province of North Carolina. He also served as the member of the General Assembly from Bladen County. And most importantly, he managed to deftly walk the tightrope between Whig and Tory (an astute tactic for a merchant). Burgwin amassed his vast fortune through real estate. 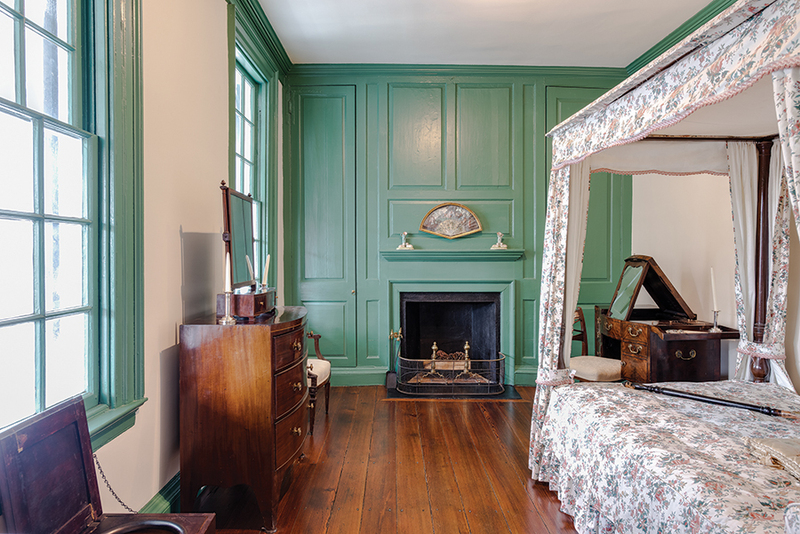 “He was a flipper,” says Christine Lamberton, the director of the Burgwin-Wright House and Gardens. “Like George Washington, Burgwin was a second son, and second sons were a lot more anxious about their financial situation.” At one time he owned seven properties, among them his wife’s plantations, Castle Haynes and The Hermitage, March Castle at Lake Waccamaw, and vast forest holdings in Duplin County and Fayetteville. 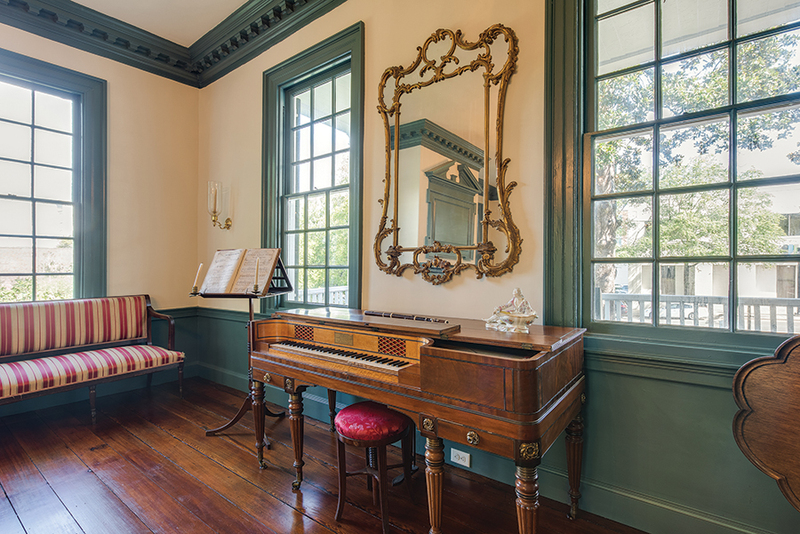 He also owned several houses in downtown Wilmington. Not to mention five ships that sailed to England and the Caribbean. He also owned more than 200 slaves. 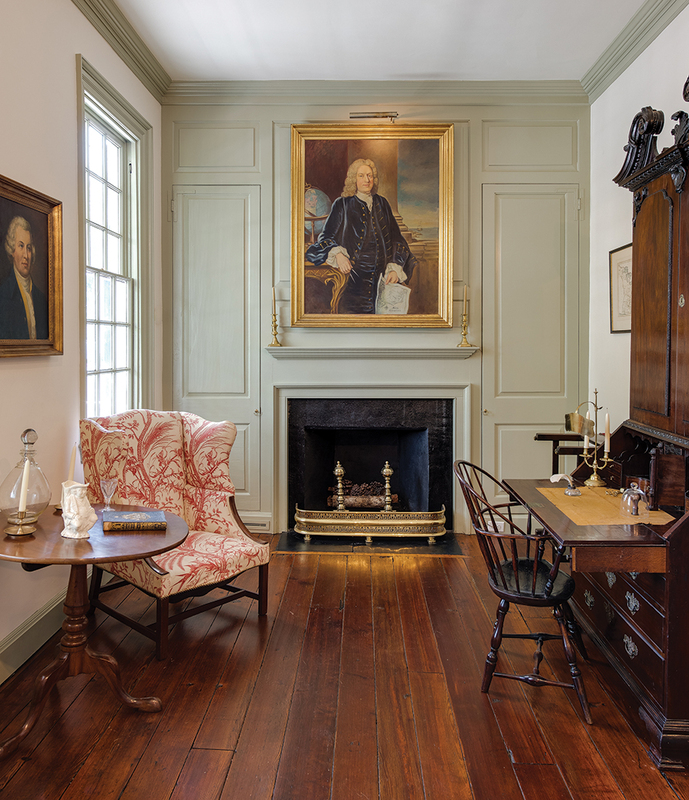 As more of Burgwin’s time was spent attending to his far-flung holdings, he realized that he needed a house in Wilmington to conduct business and entertain. Soon a lot was found on Market Street, and an elegant two-story Georgian townhouse began to rise, perched on top of a masonry cellar that used to house the early city jail. 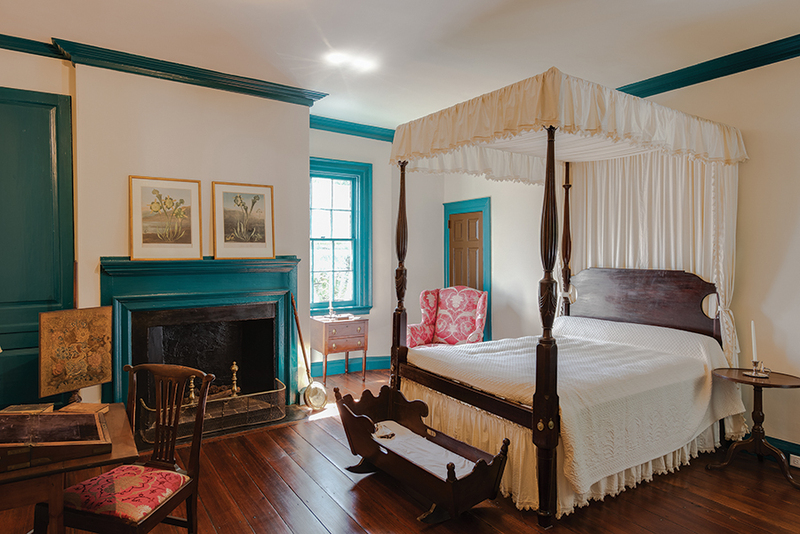 So it is exciting news that thanks to the generosity of Lillian Bellamy Boney — a preservationist and longtime member of the National Society of Colonial Dames in the State of North Carolina, the stewards and saviors of the property — the house has received a generous gift that has paid for a much needed restoration, its first in nearly 70 years. Descending the fine late Georgian staircase, the first thing one notices is the stunning original heart-pine floors. “These had been waxed and stained for years, causing the furniture to get stuck in the wax,” says Lamberton. 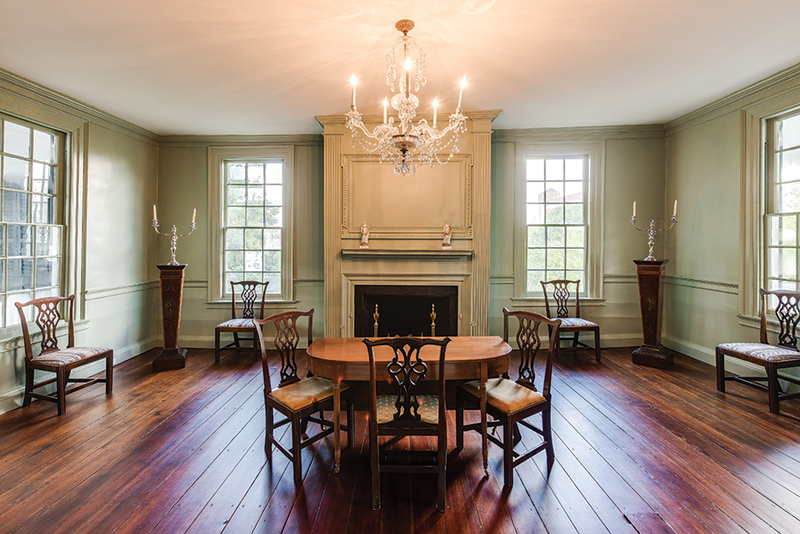 “Never a good idea, because longleaf pine is already so dense that the wax does not get absorbed.” The wax was removed and the floors lightly refinished. The overall effect is stunning. So what’s next on the wish list? “Window treatments and curtains for all the rooms would be a long-term dream,” she says with a smile. And there is a book about the Burgwin-Wright House in the works. “We have done all the research, but we want the house to be picture-perfect first.” It seems to be well on its way. The Burgwin-Wright House and Gardens, 224 Market St., Wilmington. Open Monday – Saturday, 10 a.m. to 4 p.m. Guided tours are given on the hour. For more information, call 910-762-0570.